Have you ever wondered what it would be like to see a ship wreck or to have the chance to spear fish under water? Have you ever been on vacation and wanted to scuba dive, but all you have been able to do is snorkel? Scuba Diving is also a popular service Aquatic Adventures offers. We will teach your family how to explore the unknown world. There are many things a person has imagined about the open ocean. 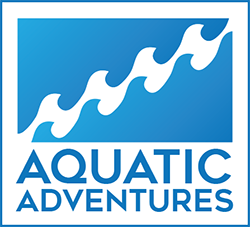 Aquatic Adventures will now give you an opportunity to explore. We teach in a private setting where students will receive one on one attention from a scuba diving instructor. Aquatic Adventures will be teaching many scuba diving certifications through NAUI. NAUI stands for the National Association of Underwater Instructors. We offer Open Water, Advance, Rescue, and Dive Master Classes. Having the opportunity to explore and see the lost world in the ocean is one of the greatest things about being a scuba diver. Discover Scuba teaches each diver the basic skills of how to become a professional snorkeler followed by the skills to become a certified scuba diver. The starting age ranges from 8 years of age to Adults. The class is 2 hours long and when you’re done you will be ready to move forward in your passion for scuba diving. We dive not to escape life, but for life to escape us.